The 2019 program will take place Sunday, May 26 – Saturday, July 6, 2019 and is open to mature intermediate to advanced undergraduates willing to undertake six weeks of rigorous reporting schedules. Journalistic Inquiry: The Written Word (JOUR-UA 50) is a prerequisite. Undergraduate students take two courses during the summer program in Ghana, both of which count as electives for the journalism major. NYU Journalism graduate students may participate in an independent study program with the consent of their program chair. For more information, including the application form, please log in to the Student Center on Albert or visit the NYU page. Looking for study abroad funding resources? 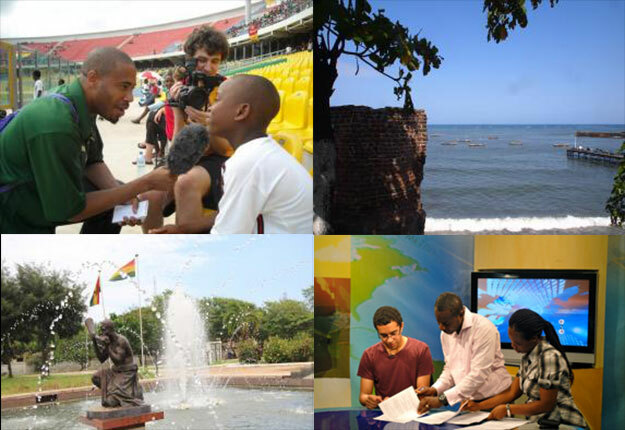 The Dean’s Opportunity Fund for Study Away is a scholarship for CAS matriculated students participating in a CAS Summer Abroad program, like Journalism in Ghana. Please visit this link or email Nicole Kozlowski for more information. Journalism in Ghana Promo from Max Gorden on YouTube. NYU Reporting in Africa Program from Phil Molnar on Vimeo. More projects can be found on LiveWire.